Experience Windows Phone 8 Start Screen on WP7 right now! Thread: Experience Windows Phone 8 Start Screen on WP7 right now! Do you like the new Windows Phone 8 start screen? If you do, then wait no more! You can resize into the new small and large tiles, "install" apps and change theme colour! 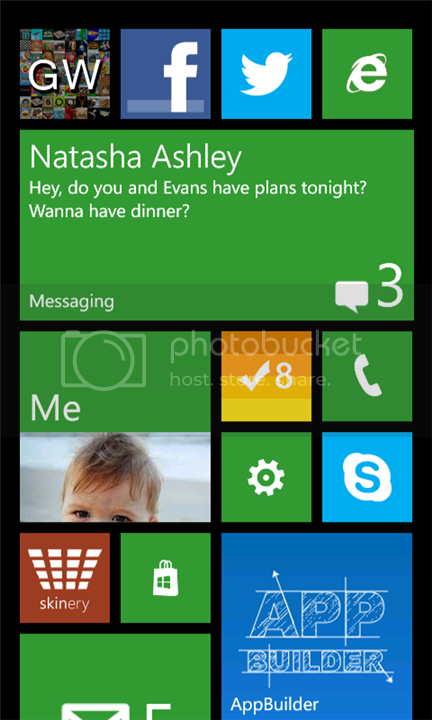 Design your favourite layout and show off to your friends before Windows Phone 8 is here! This app is a simulation and its just for fun. It is not created by Microsoft and is in no way related to the company. This app is a very realistic simulation of the new start screen.